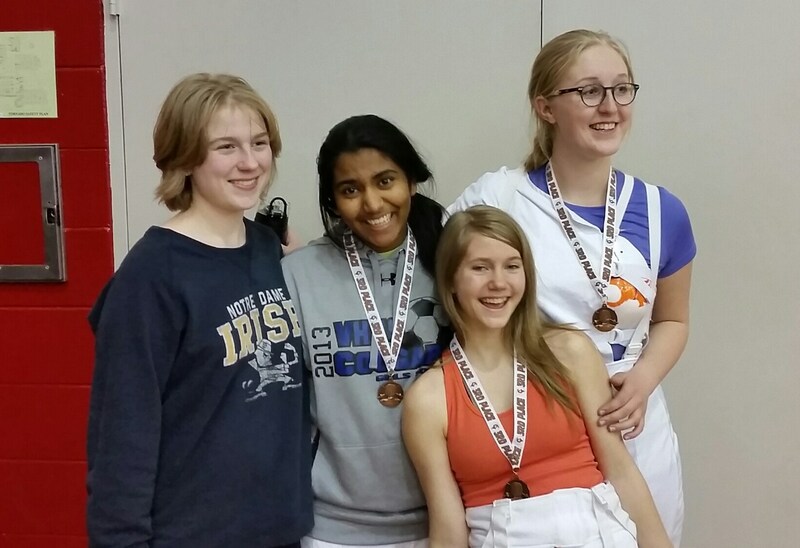 The Libertyville-Vernon Hills women’s sabre team wins a bronze medal at JV Dual Meet at Homewood-Flossmore High School on December 20, 2014. Congratulations girls! Pictured from left to right are Skyler Jackim (Asst. Coach), Heena Singh, Megan Isberg, and Julia Thurau.